Tracy, thanks for sharing. I agree with you. All that is or will ever be lies within. 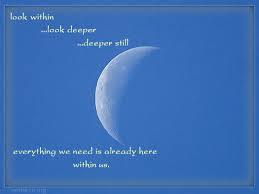 There is never a need to look outward for the fullness we all have within. Thanks again for sharing!